transporter, van Gogh’s Starry Night Von Susan Myers. Created using thousands of curled up strips of paper. 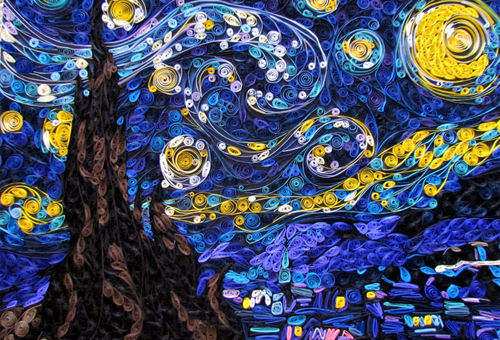 Susan Myers used a process called paper quilling to painstakingly build up her version of the piece.. Wallpaper and background images in the Fine Art club tagged: vincent van gogh art.